If you expect to do anything on the still rings, even the simplest dips, then you must have a steady support hold. This is your foundation. The stability of the PB allows you to build some strength and perfect your form. 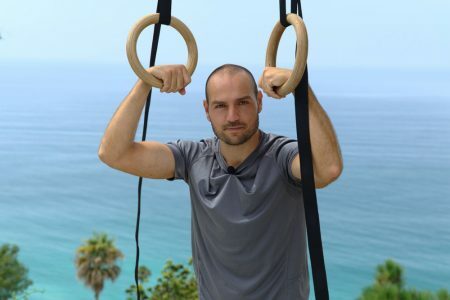 Have a minimum 60sec hold before moving on to the rings. However, 2x60sec is even more effective at bridging the gap cause the rings are so much harder. 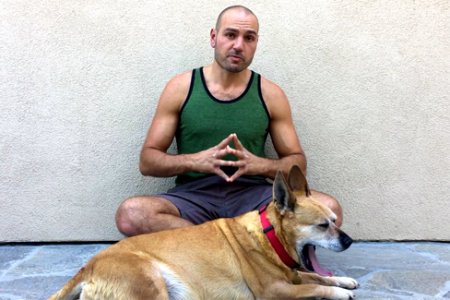 Get comfortable with staying up there with the hands parallel to each other for at least a minute. Rings turned out means exactly that: You’re turning the thumbs out to the sides. 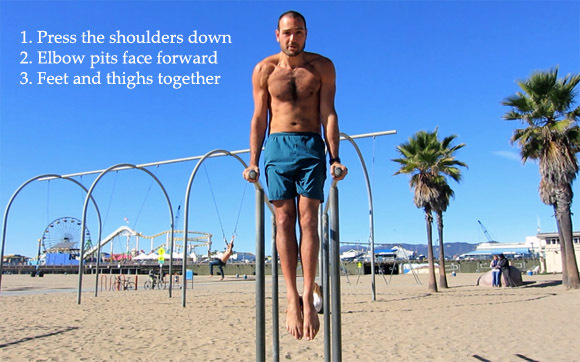 The elbows remain somewhat close to your body (you’re not trying to do an iron cross) and the elbow pits continue to face forward. 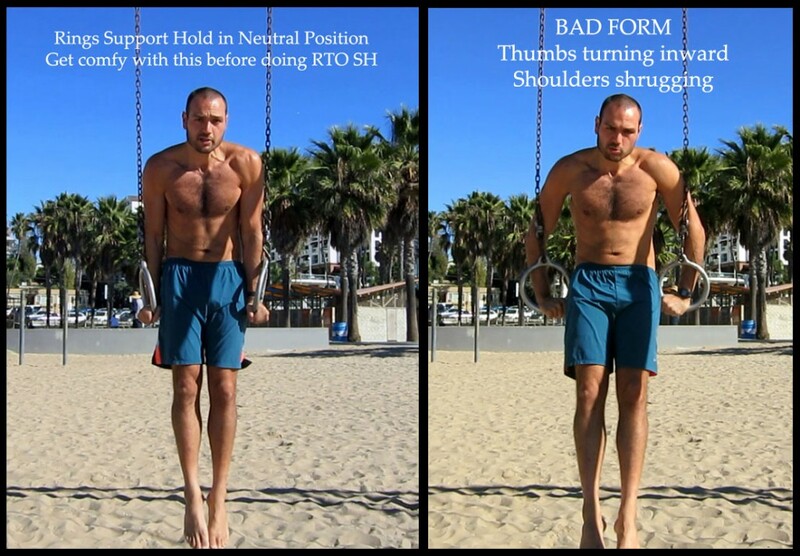 This external rotation of the shoulder is the basis for many other moves on the rings. It effectively shortens your arms and increases integrity of the shoulder joint by anatomically screwing the upper arm bone (humerus) into the shoulder socket. 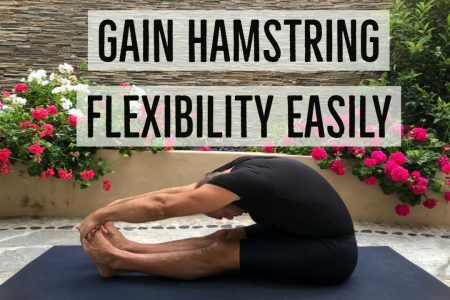 Initially, you may only be able to turn out a few degrees and it will feel very unstable as if you’re practicing support holds for the first time all over again. Turn out to the best of your ability and it will improve with time. Everyone has a different limit as to how much they could turn them out and it will improve over months of practice. 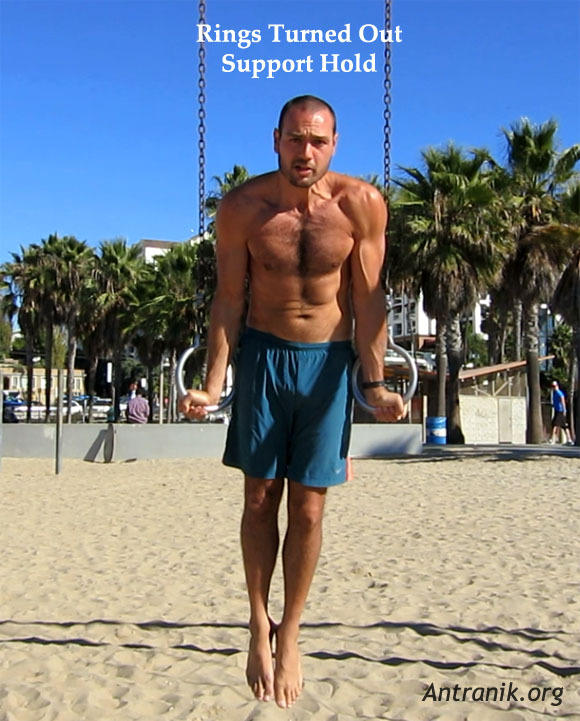 Make sure your arms are not resting on the top of the rings or straps as that will mask your progress as well. Again, work in sets until you could hold RTO SH for at least a minute nonstop. Then, it will be very easy to maintain it. Here’s a much older video I had made on a whim where I just caption out the cues because I thought the scenery looked so cool with the sun setting. So I just dubbed it with some mysterious music and ta da! Common Question : How do I position my shoulders and shoulder blades? Should a ring support hold be done with a hollow body or not? Press the shoulders down the back and hold a straight or slightly hollow body. You do not want to arch (backbend) your back at all in this position. But don’t round your back excessively either, try to keep things somewhat neutral. Neutral means it’s okay to round the shoulders ever so slightly. It’s also very common to unconsciously pike a little, meaning, you may be bringing your legs out in front of you. Try to keep the front of the hips “open” (don’t pike) by pointing the toes straight down to the ground rather than ahead. Anyway, hope this helps. If you have any questions let me know!